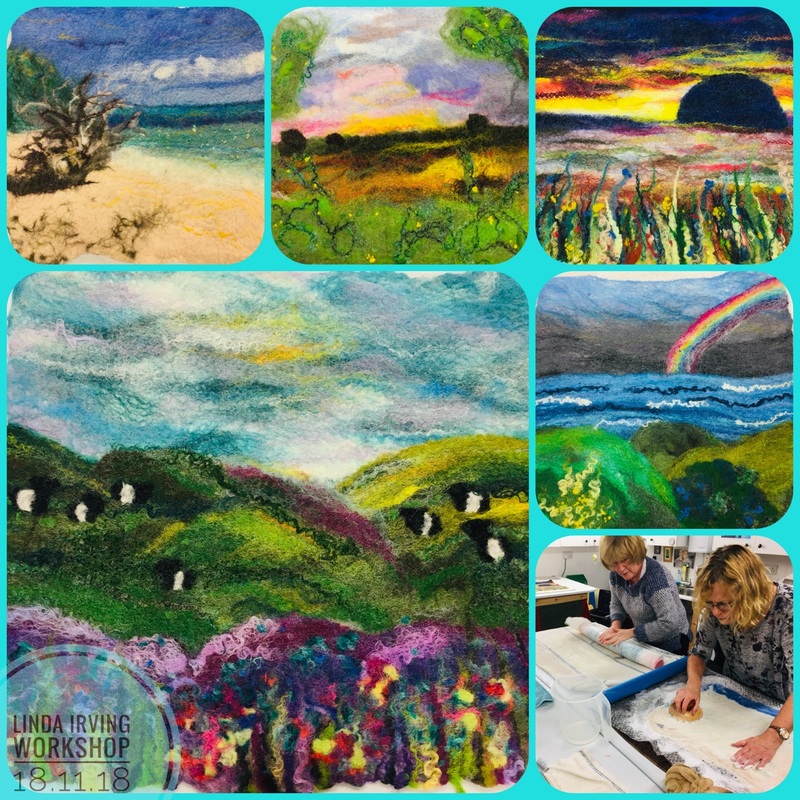 Emer, Alisa, Chrissy, Laurie and Marie, …..what a fabulous day we had creating and felting these beautiful pictures! All first time Felt makers, this group of friends have an amazing eye for colour and detail and ooze creativity! Whilst three ladies used photos they’d taken as inspiration, the other two made images partially in response to the materials and their imagination! I’m sure it was the home made cakes that fired them to create these wonderful pieces!!!! Thank you ladies for a wonderful day! Now…..I need to see them once they are finished!! !